My G-Shock website has a new game on their website. 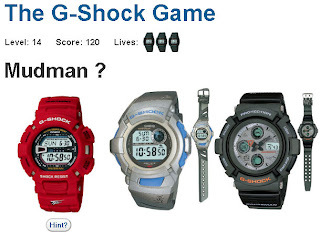 The game is based on the popular Casio G-Shock watches. I found the interesting and gives an interesting introduction into the world of G-Shocks.